Visitors hoping to tour one of Hawaii’s most popular and historic attractions will have to keep their distance–for now. Although divers have reported no damage to the USS Arizona herself, visitors will be detoured via boat to view the USS Arizona Memorial from another area of Battleship Row. “At this point it’s not safe for visitors or anyone to land there and disembark at the memorial,” said spokeswoman Abby Wines. According to Wines, The crash occurred when the hospital ship USNS Mercy and a civilian tugboat contracted by the Navy were maneuvering in the harbor. Either the tugboat or the Mercy hit the dock. The Navy and the Park Service said in a statement the incident was being investigated. “Initial visual assessments show that the dock was moved about 10 feet toward the Memorial,” a statement from the National Park Service said. “A small area of concrete was damaged where the dock’s ramp joined the Memorial. The dock’s ramps and railings were also damaged. Wines added that a ramp and handrails connecting the dock to the memorial were mangled and that the impact happened about 7:45 a.m. The Mercy is in Pearl Harbor for the annual Pacific Partnership operation. It was unclear how long tours on the memorial will be suspended, Wines said. The underwater assessments will provide a better idea, but the current situation is expected to continue for at least a few days. The USS Arizona Memorial is the state's more popular visitor attraction. Navy Region Hawaii said a damage assessment has already started, and an investigation is underway into the cause of the collision. According to Wines, the underwater assessment began Wednesday. Thursday, Casey Scott with the National Park Service sent an update which emphasized the Park Service’s commitment to providing as much visitor interaction at the site as possible. 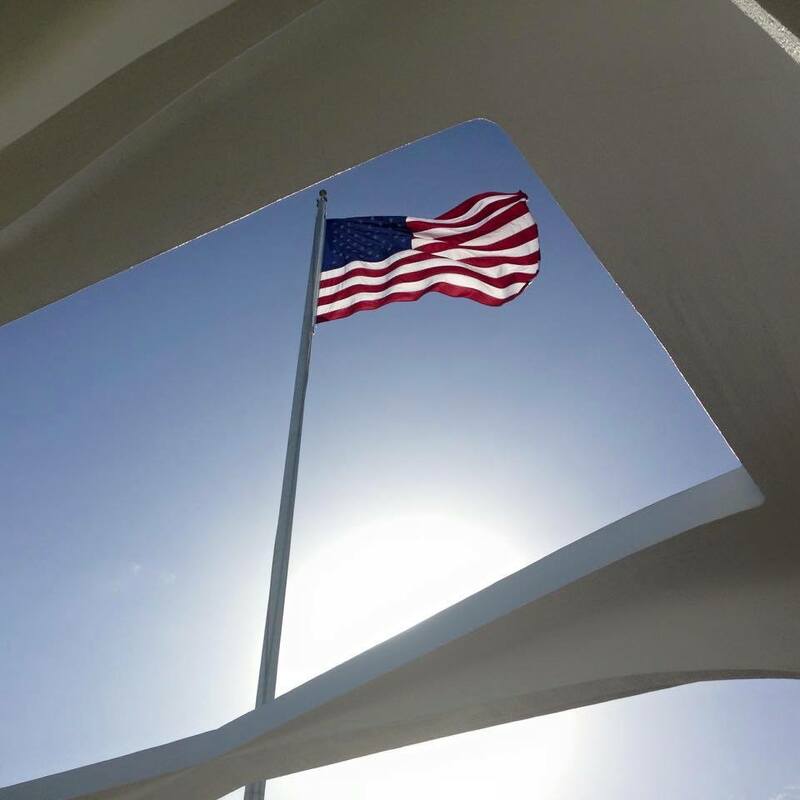 In a statement, he wrote, “I would like to take this opportunity to inform you that the National Park Service will continue to serve our visitors with modified programming while we resolve the incident with the USS Arizona Memorial dock. The documentary will continue to be shown and the boats will continue to run. Due to safety concerns, visitors will remain on board the Navy boats and National Park Services Rangers will be guiding from the boat while repairs are underway. All other operations will continue as normal. The USS Arizona Memorial was built to remember the 1,177 sailors and Marines killed on the Arizona when Japanese planes bombed the battleship during the 1941 attack on Pearl Harbor. It straddles the rusting, sunken hull of the Arizona. To get to the memorial, visitors must board a boat at the visitors center for a short ride in Pearl Harbor. Visitors walk into the open-air memorial from the dock. The Navy hopes to have the dock repaired by June 4.